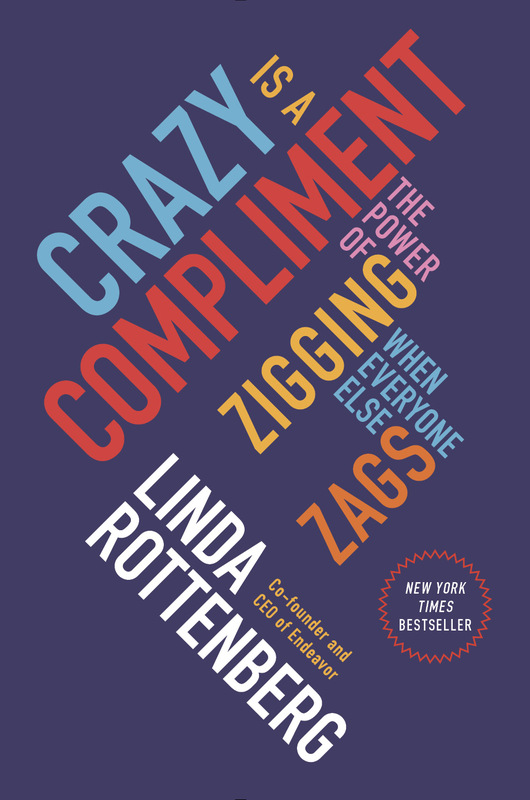 Linda is also author of a New York Times bestseller, Crazy Is A Compliment: The Power of Zigging When Everyone Else Zags, published in October 2014. Rottenberg serves on the board of Zayo Group, a global provider of bandwidth infrastructure (NYSE: ZAYO). She a member of the Council on Foreign Relations and Young Presidents Organization (YPO) and serves on the entrepreneurship steering committee of the World Economic Forum. Rottenberg has been profiled in the Wall Street Journal, Forbes, The Economist, Financial Times, USA Today, Strategy + Business, People, Glamour, and MORE, and has appeared on GMA, The Today Show, Morning Joe, Nightline, NPR, CNBC, CNN, Fox News, Fox Business, and Bloomberg News. Dell featured her in its “Take Your Own Path” ad campaign and Veuve Clicquot named her Businesswoman of the Year. A graduate of Harvard University and Yale Law School, Linda lives in Brooklyn with her husband, author and New York Times columnist Bruce Feiler, and their identical twin daughters. Colin Carroll (on behalf of the LBDC): Before discussing Endeavor and your New York Times bestseller, Crazy Is A Compliment: The Power of Zigging When Everyone Else Zags, I thought I might start by asking, if I may, when did you decide that you didn’t want to be a lawyer? Linda Rottenberg: Sure. I grew up in a traditional family outside of Boston. My parents were childhood sweethearts. My dad went on to become a lawyer in Boston and my mom stayed home to raise 3 kids. I have always described my parents as incredibly loving and incredibly risk-averse people. Some of that rubbed off on me, I suppose, because I went to Harvard University then straight through to Yale Law School. I got to Yale where I thought no one really learned the law anyway but just learned to be public intellectuals. Apparently I got the wrong memo because everyone in my class either wanted to clerk for the Supreme Court or become a law professor. I figured out pretty quickly that this wasn’t for me. While I was racking up the billable hours at my first summer internship, my friends were doing things that were more entrepreneurial and I thought, “oh my god what am I getting myself into?” I ultimately completed law school but towards the end I started telling all my professors that I was in a conundrum and that I didn’t want to be a lawyer. Luckily, Owen Fiss and some other Yale law professors took pity on me and told me about an opportunity to work in Chile and Argentina. I immediately jumped on it and it was there that the idea for Endeavor was born. Colin Carroll: Would you mind maybe just telling us a little bit more about how Endeavor came about and what you’re doing at Endeavor? 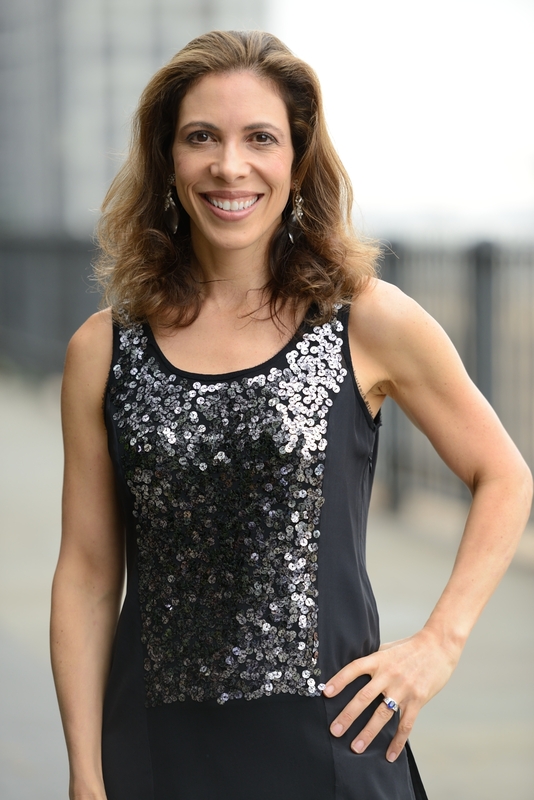 Linda Rottenberg: My “aha” moment for Endeavor came in a taxi in Buenos Aires when my driver told me he had an engineering degree but couldn’t find a job. It was the mid-1990s and everyone back home was talking about Netscape, Yahoo and other exciting entrepreneurial opportunities starting up in the US. Yet, the young people I talked to in Latin America only aspired to a government job or if not the government, then a position at one of the top ten family businesses in the country. I thought, “this is crazy, why is no one starting up their own thing?” After going back and forth with my taxi driver, I came to realize that there was no word for “entrepreneur” in Spanish or Portuguese, let alone Turkish or Arabic. So, I went back home and met up with this other crazy kid called Peter Kellner, whom my mentors (a Professor at Harvard Business School and Bill Drayton of Ashoka) introduced me to, and together we hashed out the idea for Endeavor, right at my kitchen table. The concept was to create an organization that would find and support fast growing entrepreneurs or what we call the “high-impact” entrepreneurs who were dreaming up companies that could potentially really matter for their countries. Yet, there was no local support system to encourage risk-taking and innovation. That was really the concept behind Endeavor. Today, we now operate in 22 countries on 5 continents. We brought our model to Europe a year ago after working in Latin America, the Middle East, Africa and Asia. And most recently, we brought it back home with new offices in Miami, Detroit and Louisville. So far, we have screened 40,000 candidates and accepted, after a year-long selection process, 1,000 entrepreneurs from over 600 companies into our network. Together those companies have generated over 400,000 jobs and 7 billion dollars annually. So the idea behind Endeavor was always to find people with big ideas and big dreams and provide them with the mentorship and support system to pursue them. Colin Carroll: As an Irish guy I have to ask, have you any plans to bring Endeavor to Ireland? Linda Rottenberg: Maybe. You know I never thought we would go to Europe and the United States since initially we talked about Endeavor as only being in the emerging markets. But after the Greek financial crisis, we got calls from Greek businesses leaders who knew of our work in Latin America, the Middle East and elsewhere. They said we need entrepreneurship, we need people taking some risk and innovating here and we want Endeavor to model that. After that, we started getting calls not only from Spain and Portugal but also from Miami business owners who informed us that it was just as hard for someone to start a company here, especially if it was non-tech related, because there was no support to grow and scale. Even for tech companies, the only option was to move to Silicon Valley to find capital. As a result, we have re-thought our model and we are now looking at Japan, even London so I wouldn’t be surprised if Ireland hit our radar screen too. Colin Carroll: Can you tell us how your New York Times bestselling book: Crazy Is A Compliment: The Power of Zigging When Everyone Else Zags came about? the “gazelles” who are aiming for growth and want to go big. then my favourite, the skunks, the intrapreneurs in large corporations. Colin Carroll: In your book you speak about the importance of “Knowing Thyself”. Can you tell us about that? We found that many entrepreneurs try to model themselves on Steve Jobs when really they have completely different strengths and weaknesses. I have found that so many ventures end up failing not because of anything related to the product or the market, but because of people. The more you know yourself, the more you know your strengths and motivations, but also your blind spots, the better you can install a team around you that complements you. Entrepreneurship at the end of the day should not be a solo sport. Even if you are just creating a small business or a family business, you have to interact daily with others. We often think about entrepreneurs as their ideas and their passions, in other words, it’s all about them. Learning to think about how you should engage with other people is really the key to making your venture last. Colin Carroll: What advice would you give to people who are dreaming about starting up a new enterprise to actually get going? Linda Rottenberg: I think that what I’ve learned working with 1,000 entrepreneurs across all different backgrounds, industries, countries and circumstances is that the biggest barriers to getting going are not financial, they are not structural or cultural—they are psychological. People hold themselves back. The best ideas don’t die in the marketplace or the laboratory or in the conference room, they die in the minds of the dreamers who have them and never get them out of the shower or off the napkin and into the world. So I think you have to give yourself permission to get going with your dream. And that’s why I say, that there are going to be naysayers, it’s going to be tough and that’s why if people are calling you crazy, you should take it as a compliment, own it and move on. We’ve all heard the phrase “friends don’t let friends drive drunk“, well one of my mottos is that “friends don’t let friends test-drive their ideas” because friends are not reliable test-drivers. They either want to protect us or they won’t tell us the truth. They are going to tell us our ideas are brilliant when really they shouldn’t get off the ground. It’s like going to a wedding dress fitting and expecting people to say the bride looks anything but beautiful. Or, more risk-averse family and friends are going to try and tell you that yours is a terrible idea and we’re going to go bankrupt and we should never even try. I think the beauty today of crowd-funding and crowd-sourcing is not only that they can give you resources, but that they can give you feedback from people who will actually tell us if they would pay for our product or service. It’s a wonderful new platform that people can use to get going while still minimising risks. Turns out that most successful entrepreneurs are not risk-maximizers but risk-minimizers. Take Nike’s motto: Just do it. You would think that Phil Knight, the guy who founded Nike, would just do it. It turns out that, while he was getting Nike going, he spent a decade doing other people’s taxes and working as an accountant while someone else sold the shoes! So I think that this idea that we should take baby steps and baby failures is the way to go: we have to learn to psych ourselves up instead of psyching ourselves out. Colin Carroll: I love that advice about giving ourselves permission to start things. Can you tell us more about that? Linda Rottenberg: I talk in the book about having to tell my parents that I was not pursuing the law. As I said this was a traditional family so it was a very scary moment. But after they basically tried very kindly to talk me out of it, that’s when I realised that I was the only one who could give myself that permission and I had to do it. That it was choosing between fear and hope and I had to choose hope. And that’s what I try and do in “Crazy Is a Compliment”: to give others that confidence and the inspiration to get going. I think that one of the things we do in the United States and Europe in particular is over-plan, over power-point, run to the boss or our spouses or our families to quickly to ask for permission. We have to stop planning and start doing. People who can see a problem (half of them don’t even know that they’re entrepreneurs) just see a pain point and start acting on it, and then they ask for feedback on it to see if they can should take it to the next level. Colin Carroll: If you were to take one piece of advice from your book, Crazy Is A Compliment: The Power of Zigging When Everyone Else Zags say one “crazy” piece of advice, what would you want to tell someone? Colin Carroll: Finally, can you think of perhaps the best piece of advice that someone has actually given you whether personally or professionally since you started your journey with Endeavor? Linda Rottenberg: I would say a couple of things. One is that I went to mentors of mine in Brazil when I was having a particularly difficult moment a few years after getting Endeavor off the ground. I said “isn’t it supposed to get easier? What am I doing wrong?” They told me that hard is normal and that the road to being an entrepreneur is never smooth. I have a whole chapter in the book about chaos being your friend. Some of the best ideas are formed in periods of personal or professional crisis. This can actually be when entrepreneurs have an opportunity to thrive. So realising that it was going to be harder, I built a circle of support around me. One of my hopes for the book is that people will learn how to bring mentors in and get support and inspiration from these stories knowing that they’re not alone and that it’s ok if it’s hard and that they can push through. The second best piece of advice came from my daughters. When they were about 5 (they are now 10) and I was getting ready to go on a business trip, they told me, “Just remember, you can be an entrepreneur for a short time, but you are a Mommy forever“. It’s the single best piece of advice for leading my life. I’ve realised that I don’t like the word “balance”, which I find very stressful and unattainable; instead I talk about work-life integration, weaving our passions and your dreams and your work into your family life. Really what’s the point if we’re all out there working if we leave the people we love behind. This comment from them really made me reflect, “how do I do a better job?“, and part of that meant prioritizing and learning to say no to a lot of things. And when I do say no, I just say “look, I’m a Mommy too” and people immediately understand. 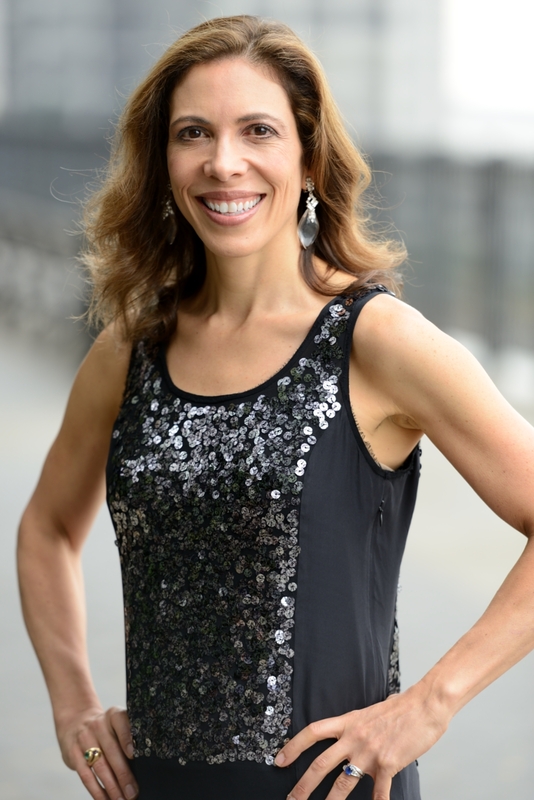 A big thank you to Linda Rottenberg for giving up her time and for her generosity in sharing her fascinating career journey with us here at the LBDC.